All you have to do is add in the details relevant to your business and you are ready to deliver the goods. The docket can go with the shipment, whilst the sales invoice can be emailed to the customer. 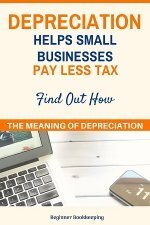 Once checked and authorized the docket can be given to the accounts department who will then know to expect an invoice from the seller. 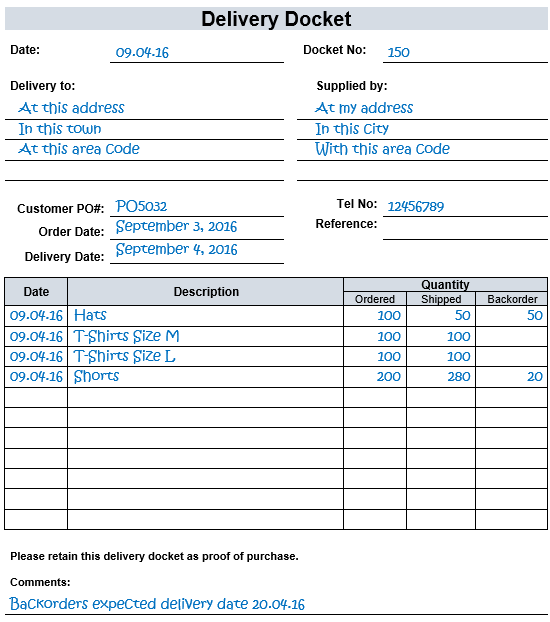 See the completed example of this delivery docket template below, which shows you how to fill it in. 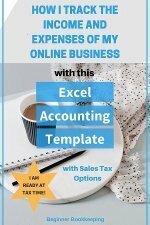 Get 10 printable forms in one download "10 Bookkeeping Forms and Templates". 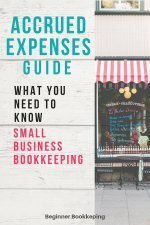 It includes completed examples and a mini guide for both single entry and double entry bookkeeping. Comments about anything specific to the order, such as when the etd (estimated time of delivery) of the back ordered items is due to be shipped. The docket should be placed inside the envelope or box at the top where it can be easily retrieved. Another way is to place it inside a plastic sheath for protection which is then taped onto the outside of the shipment envelope or box. The accounts department should keep it in a folder where it can be matched up to the purchase invoice once received. It can be attached to the back of the invoice, or filed away into a separate folder in alphabetical order. 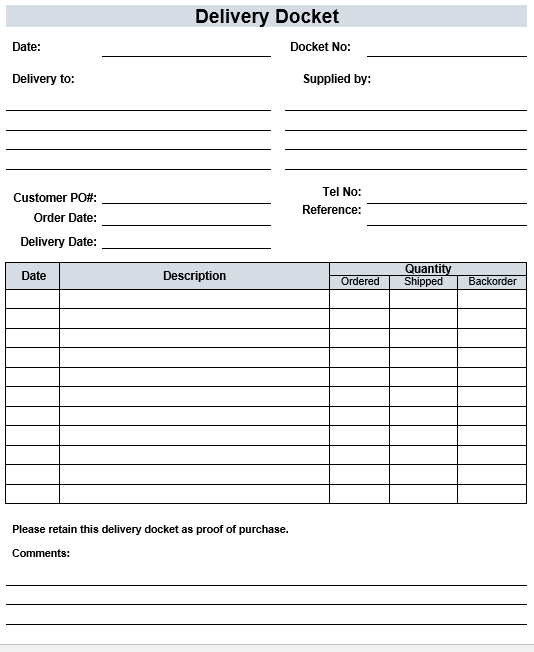 Delivery dockets are not always necessary because a sales invoice can also be used as a delivery docket, thus avoiding having to use a delivery docket template.